This is the autobiography of one of the most influential management consultants of recent times. Herbert Henzler grew up in the German village of Neckarhausen during the Second World War. Starting his career as a sales apprentice with Shell, he went on to study at the universities of Saarland, Ludwig-Maximillian and California, Berkeley, where he received his PhD in economics. 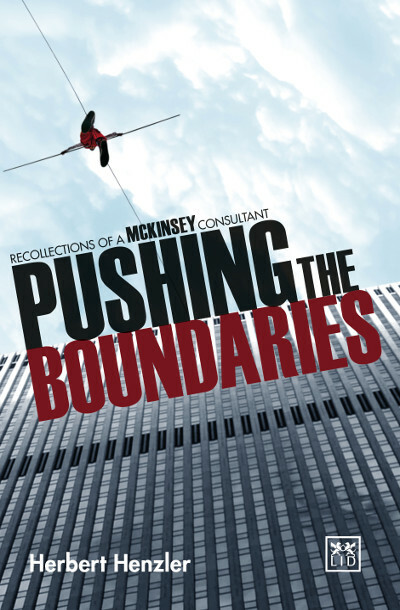 In 1970, Henzler accepted an offer to join McKinsey & Company, a rapidly growing firm that would eventually become the world’s leading consultancy group. Working in its German office, Henzler quickly rose to Partner in 1975 and then Director in 1978. His spectacular rise continued when, in 1985, Henzler became head of McKinsey’s German office and one of the most powerful management consultants in the world. Honest and at times direct, this book provides a rare insight into the world of management consultancy and how one man made it to the top by constantly pushing the boundaries. A rare insight into the corridors of the world’s leading management consultancy firm – and how one man rose to the top. ● Written by one of the world’s most influential and powerful business consultants. ● McKinsey & Company is famous for the influence it has over business and governments. ● A rich and engaging story of how one man reached the heights of the consultancy profession. ● Full of fascinating and intriguing anecdotes and analyses of the role that consultants play in the world of business.